In this section, we will learn how to install TypeScript, pre-requisites before installation of TypeScript, and in how many ways we can install TypeScript. Install TypeScript using Node.js Package Manager (npm). 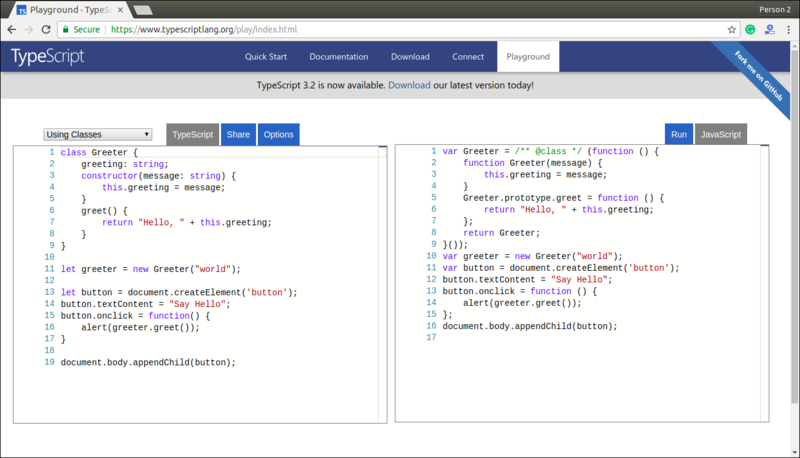 Install the TypeScript plug-in in your IDE (Integrated Development Environment). Step-1 Install Node.js. It is used to setup TypeScript on our local computer. To verify the installation was successful, enter the command $ node -v in the Terminal Window. Step-2 Install TypeScript. To install TypeScript enter the following command in the Terminal Window. Step-3 To verify the installation was successful, enter the command $ tsc -v in the Terminal Window. 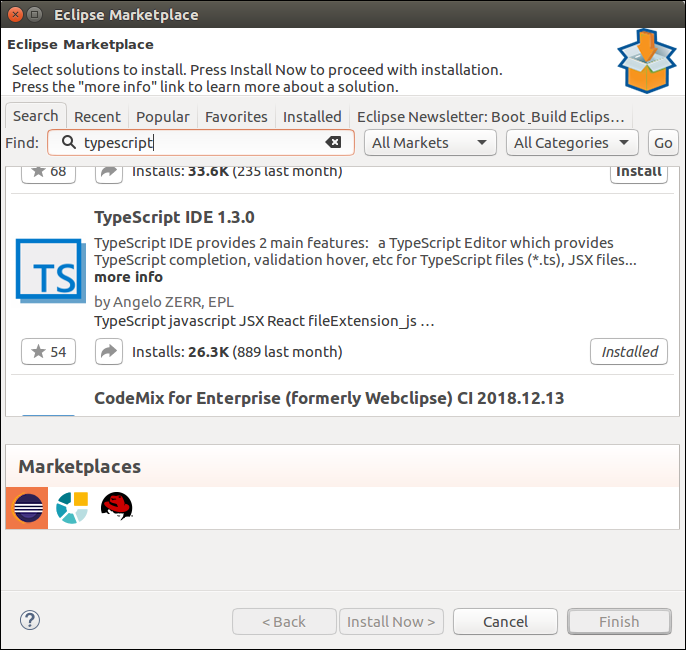 Open Eclipse and go to Help->Eclipse Market Place. 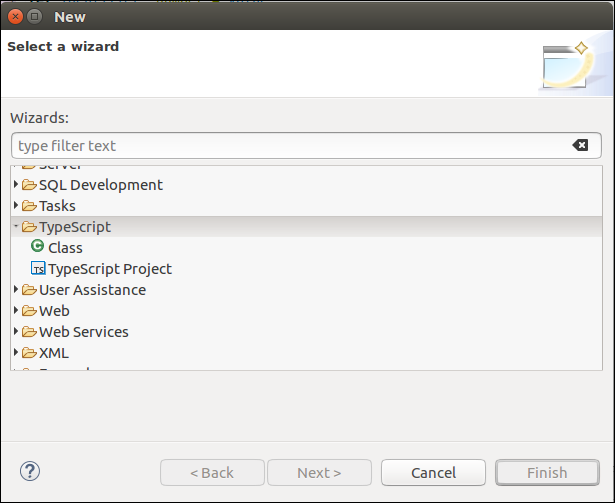 Search for TypeScript and choose TypeScript IDE, Click Install. In the next window, select Features wants to install, Click Confirm. A new window will open, select Accept Terms and Condition, Click Next and follow the on-screen instructions. Now restart Eclipse. To varify the TypeScript go to New->Other->TypeScript. We can also run our script online with official compiler. To do this, Go to the following link.